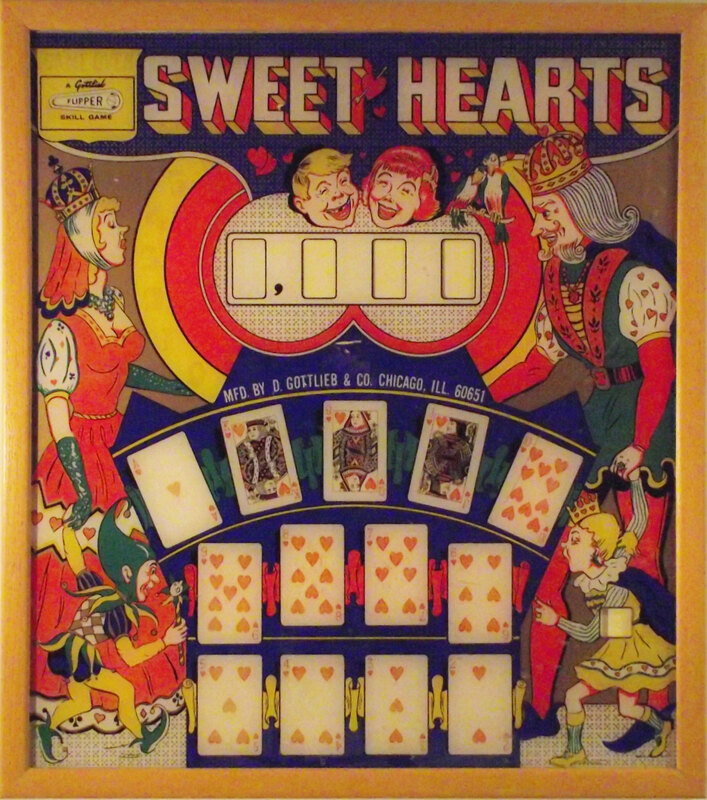 This is an original pinball machine backglass from a Gottlieb 'Sweet Hearts' machine from 1969. This picture has a card game theme and a real 50s/60s feel to it - it would look fabulous as part of a retro design theme or in a games room! It is a screenprint on 6mm glass and is professionally mounted on a cream background and framed in a beautiful 23mm wide toning wooden frame. There is some crazing in the picture and some pigmentation loss which is most common in art of this era and adds to the authenticity of the piece. Please get in touch if you would like more information or photographs, or to discuss delivery or collection options.